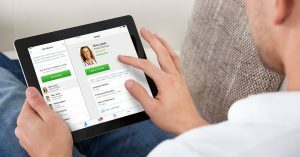 How can your telehealth service integrate with your EMR? 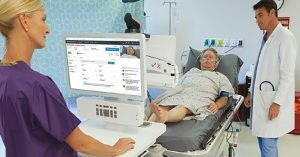 DOTmed summarized the key learnings from our recent webinar on EMR integration and telehealth. Check out the key points and reach out if you’re looking for more details on this relevant topic. 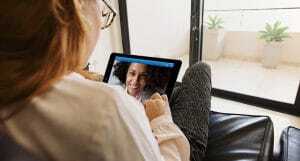 With more and more hospitals and health care facilities implementing electronic medical records (EMRs) into their IT infrastructure, telehealth is gaining traction as a way for physicians to keep in touch with their patients. In the webinar, EMRs + Telehealth: Tying it all together, American Well’s Craig Bagley, director of sales engineering, spoke on how to utilize the company’s telehealth system. “Integrating your telehealth program into your existing clinical information systems allows for the ongoing care and chronic care management of patients, in addition to being able to treat patients on their terms, wherever they are physically located,” said Bagley. He described the American Well telehealth enterprising system as a “fully-branded, white-labeled” system, which means that someone viewing a facility’s telehealth page does not see the American Well logo and instead sees the facility’s own brand.